How Are Restriction Enzymes Used? What Are the Benefits of Proteins Produced Through Recombinant DNA Technology? How Do Scientists Construct Recombinant DNA Molecules? Recombinant DNA is a DNA sequence that has been artificially created in the lab. DNA is the template cells use to produce the proteins that make up living organisms, and the arrangement of nitrogen bases along a strand of DNA determines which proteins are formed. By isolating chunks of DNA and recombining them with other sequences, researchers are able to clone DNA within bacteria or other host cells and produce useful proteins, such as insulin. Cloning allows for much easier study of particular DNA sequences, since it produces a large amount of DNA that can then be modified and analyzed. Transformation is a process by which a segment of DNA is inserted into a plasmid--a small self-replicating circle of DNA. The DNA is cut using restriction enzymes. These enzymes are produced in bacterial cells as a defensive mechanism, and they target particular sites on a DNA molecule and chop it apart. Restriction enzymes are particularly useful because they create "sticky ends" on the segments of DNA. 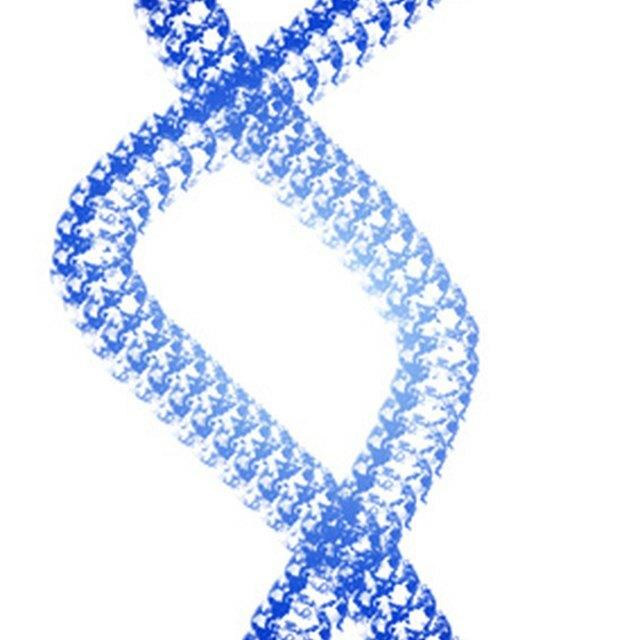 Like Velcro, these sticky ends allow the DNA to join easily with complementary segments. The gene of interest and the plasmids are both exposed to the same restriction enzyme. This creates many different molecules. Some are plasmids containing the gene of interest, some are plasmids containing other genes, some are two plasmids together. The plasmids are then reintroduced to bacterial cells, where they replicate, and the sought-after recombinant DNA molecule is identified through different types of analysis. For example, if the plasmid is sliced apart at a particular gene, scientists can look for cells failing to express that gene and thus identify successful recombination. Non-bacterial transformation is essentially the same process but uses non-bacterial cells as hosts. DNA can be injected directly into the nucleus of a host cell. Researchers also may barrage a cell with microscopic metal particles that have been coated with DNA. Transfection is very similar to transformation, but phages are used instead of plasmids. A phage is a virus that infects bacteria. Both phages and plasmids are ideal for this process since they will replicate quickly within a bacterial cell. Once researchers have identified the particular bacterial cells containing the recombinant sequence, they can grow those cells in a culture and generate large amounts of the gene. It is difficult to get bacterial cells to actually generate a protein from a human or animal host cell, but there are ways of tweaking gene expression to make such production easier. If nucleated cells are used as the host cells (as in nonbacterial transformation), the cells will have fewer problems expressing the recombinant gene. Once genes are cloned in large numbers, they can then be stored in DNA libraries, sequenced and studied. Recombinant DNA technology has enabled many important discoveries in forensics, the study of genetic diseases, agriculture and pharmaceuticals. An Introduction to Genetic Analysis; A.J. Griffiths, et al. Amelia Apfel is a freelance journalist currently living and writing in Seattle, Washington. She has previously written for the Cornell Chronicle, Tompkins Weekly, and ecoTimes. She is passionate about science, the outdoors and very good coffee. Apfel graduated from Cornell University in 2008, with a bachelor's degree in environmental biology. Apfel, Amelia. "How Do Scientists Construct Recombinant DNA Molecules?" Sciencing, https://sciencing.com/do-construct-recombinant-dna-molecules-5181279.html. 24 April 2017. How Is Recombinant DNA Made?